19-year-old Katelin Akens was last seen after reportedly being dropped off at a Virginia shopping mall by her stepfather on December 5, 2015. It has now been over a month since Katelin has been seen or heard from, and her family, as well as a community, is desperate to find her. Katelin was in town from Arizona, where she currently lives with her fiancee, visiting her family. On the day she was due to catch a flight home, she seemingly vanished. Police say they’ve been able to confirm that Katelin’s stepfather’s car was in the area of the mall that day, but they were unable to find either Katelin or her stepfather on surveillance video. Two days after Katelin went missing, police found her luggage abandoned in a drainage ditch on River Road. Along with the luggage, Katelin’s phone charger, wallet with ID, credit cards, cash, her old glasses and her old plane ticket were found. Katelin’s mother (Lisa Sullivan) drops her off at her stepfather’s home in Spotsylvania County, so he can take Katelin to Reagan National Airport: she is supposed to catch a 5:40 p.m. flight to Las Vegas, where her fiancé (Amber Rios) would pick her up and drive them back to their home in Lake Havasu City. According to Katelin’s mother, she was excited to go back to Arizona to start cosmetology school. Katelin’s stepfather later tells her mother that, while on the way to the airport, Katelin asked to be dropped off by the Springfield mall, from where she planned to travel to the airport from the nearby Franconia-Springfield Metro station: Katelin has never taken the metro on her own before. Investigating LE has said there is NO surveillance video of Katelin from the mall, or the metro. Katelin may have (according to Amber) been wearing a dark gray fleece pullover sweater with a Bass Pro Shop emblem on it, as well as pink and grey Vans brand shoes. Katelin’s mother receives a text message from Katelin’s phone at around 2:00 p.m., saying she had arrived safely at the airport. Katelin’s luggage is found by road workers, in a drainage ditch in the 6600 block of River Road near Fredericksburg – not far from the Fall Hill intersection, and nearly 50 miles from the airport. ID, wallet, phone charger, her old glasses, her ticket from AZ to VA, and her fiancé’s credit card is found, but a few articles of clothing and her cellphone are missing. Cash and credit cards were still intact in her wallet. Detectives call the find suspicious, and also says Katelin would not normally travel through this area of the county. Police say there is so far no surveillance video of Katelin, or her stepdad, at either the mall or the Metro, but they have been able to corroborate that Akens’ stepdad’s car was in the area of the mall on Dec 5. “Help Save The Next Girl”, family members, and volunteers, hands out more than 3000 flyers Saturday afternoon in Fredericksburg to raise awareness about missing Katelin. Police cannot confirm whether Katelin was at the mall or if she even left Spotsylvania. Katelin’s stepfather has been interviewed by police. He has not been called a suspect or a person of interest in the case. 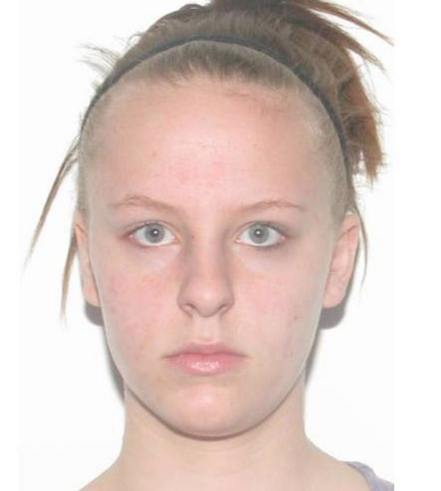 Katelin’s disappearance has been called suspicious by the Spotsylvania Sheriff’s Office. Police have said organized searches for Katelin are allowed. Anyone with information regarding Katelin’s disappearance is asked to called the Spotsylvania County Sheriff’s Office at 540-582-7115. They can also call Spotyslvania Crime Solvers at 1-800-928-5822 or 1-540-582-5822 or text a tip by sending SEE911 to CRIMES (274637).